Here is the list of top seven animals that are extinct. It’s a real pity that behind all the extinct animals, humans are responsible for their expatriation. 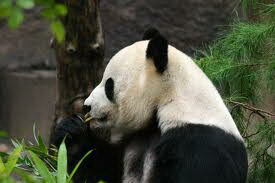 Humans that were assumed to guard over the wildlife creatures, leads to the extinction of most, if not all, animals. Some of the most common human activities were poaching, hunting, and killing for sports. Apart from humans, some other forces of nature also contributed to the sad story of these animals such as habitat destruction. The woolly mammoth (Mammuthus primigenius), also known as tundra mammoth, was a species of mammoth. The woolly mammoth was discovered from the frozen carcasses and bones in northern Eurasia and northern North America. These animals are the well known species of mammoth. 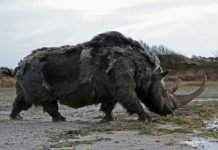 They began to disappear from its range some 10,000 years ago in the Pleistocene. However, a handful number of species still survived in the 1700 B.C. in Wrangel Island. Scientists did not face any kind of difficulty in comprehending the nature of woolly mammoth as their remains did not turn into stone – but are conserved in their organic state. One of the possible reasons was the frozen climate and the gigantic size. Woolly mammoth were not believed to be larger than African elephants. 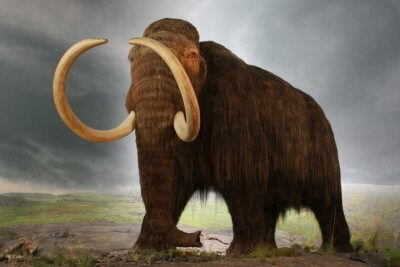 The adult woolly mammoths had could grow to a size of 2.7 meters (9 feet) and 3.2 meters (10 feet). They had smaller ears as compared to the present-day elephants. The length of these ears could measure around 30 cm (12 inches). Megalodon shark is an extinct species of shark that lived some 28 – 1.5 million years ago in the period of Cenozoic. Megalodon were believed to be the largest and most powerful mammal that ever existed on the planet earth. According to the fossil’s evidence these sharks could grow to a length of about 15.9 – 20.3 meters (52 – 67 feet). 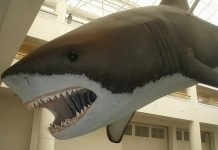 Megalodon sharks had a cosmopolitan distribution and they were twice the size of the present-day great white sharks. The megalodon’s teeth could measure 180 mm (7.1 inches). These sharks were about the length of a large city bus. Scientists presumed the weight of these sharks at 105,000 pounds (53 ton). It’s also assumed that the megalodon shark females were larger than the males as is the case of great white sharks. Apart from the woolly mammoth, saber tooth tiger is one of the cat species that is associated with the genus Smilodon and was regarded as the most popular prehistoric mammal in the period of Pleistocene. 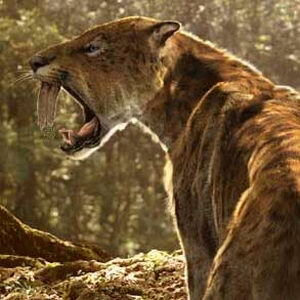 Some suggests that saber tooth tiger was not really a tiger rather it was a genus of prehistoric cat called Smilodon, which was only fairly associated with the modern lions, cheetahs, and tigers. Of all the characteristics of large cats, what set saber tooth tiger apart was its large curving canines measuring around 12 inches. However, the saber-tooth tiger’s jaws were not strong enough and they’re always needed to protect from the accidental breakage. 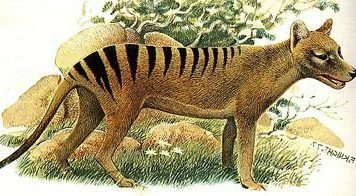 The desert rat-kangaroo (Caloprymnus campestris), also referred to as buff-bosed rat-kangaroo, is an extinct marsupial species that lived along the regions of Central Australia. 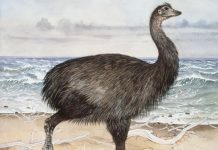 John Gould discovered it in the year 1840, and was seemed to bear kangaroo-like features. The size of the desert rat-kangaroo measured around 254 – 282 mm excluding tail averaging 301 – 377 mm. They had a broad but short head making them different from wallaby or kangaroo. The color of these animals used to provide a natural camouflage with respect to its surroundings. 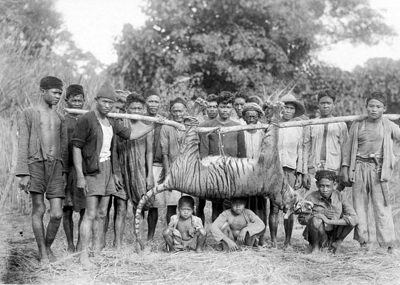 The Bali tiger (Panther tigris balica), also called samong, is an extinct species of tiger that lived in the harimau Bali (Indonesia). Bali tiger was the smallest of all the large cats. The last specimen was hunted down in September, 27, 1937 in Sumbar Kima (west bali). 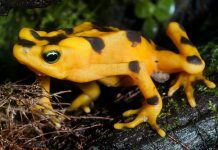 These species also became extinct because of excessive hunting and habitat loss. They already existed in few numbers and the breeding range was also limited to the forest cover. The male tigers weighed around 90 – 100 kg (198 – 221 pounds), while females weigh up to 65 – 80 kg (142 – 175 pounds). 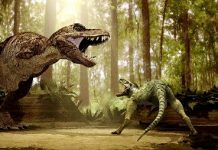 They could reach a length of 220 cm (7.2 ft; 86.6 inches) including tail, while females measured at 195 – 200 cm (6.4 – 6.6 feet). The Falkland islands wolf (Dusicyon australis), also called warrah or falkland islands fox, is extinct species that were native to the Falkland Islands. 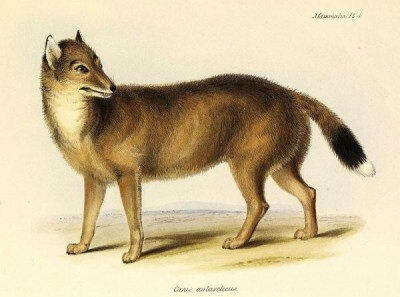 They disappeared in the year 1876, and were the first canid that became extinct in the primitive times. They had been known to reside in the East and West Falkland. They had white-tip tail and the diet is not known. They could prey on ground-nesting birds including penguins, and geese. 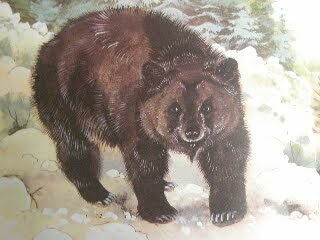 The atlas bear was Africa’s only native bear. These bears once lived all throughout the Atlas Mountains ranging from Morocco to Libya. Atlas bear is now extinct. 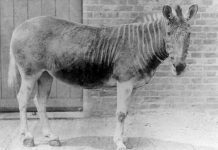 The animal displayed brownish black color while it lacks a white spot on the muzzle. 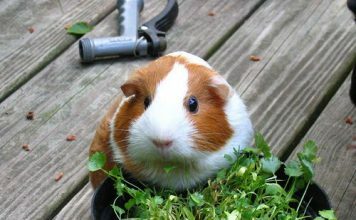 The underside fur was reddish orange, with the length measuring at 4 – 5 inches (100 – 130 mm). These bears were thought to feed on acorns, nuts, and roots. I love the animals. They are my friends *smiley face emoji* This is poop, there is a false video on here. I shall report you, to the feds and police. Have a good day.